Mrs. LaRita Reid is an experienced project manager, and community leader with nearly two decades of experience in event planning/meeting coordination; community outreach and civic activism; family and child advocacy; and ministerial service to women and youth. Mrs. Reid acquired her organizational skills, passion for people, and penchant for advocacy and community activism while raising her own family in the South Fulton community. There, she assisted with the organizational launch, and promotion of a community-based services and self-help organization that provided families with recreation, youth enrichment activities, and an After-School Program for nearly five years. She is the driving force and Brand Ambassador for REAL Civility LLC. 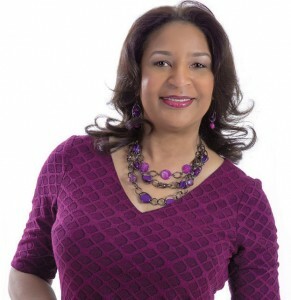 Currently she serves as the Director of Women of Distinction, the Women’s Ministry at Open Word Christian Ministries, an Advisory Council member for the South Fulton Youth Arrow Council, Talbots Stores, and Women2Women Annual Conference. She is a member of the Institute for Civility in Government and the sNational Association of Professional Women. Reid’s article, “Are You Promoting Civility” was published in “People You Need to Know” magazine. The Civility Maven is dedicated to fulfilling her divine purpose in the earth as a wife and mother of four adult sons, Goodwill Ambassador, and Civility Thought Leader.